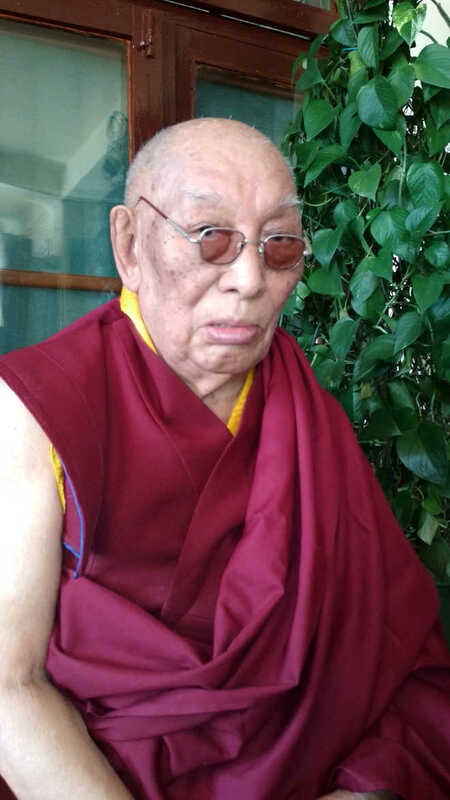 Nonagenarian Yeshi Dhonden, a Tibetan monk, has been honoured with Padma Shri, the fourth highest civilian award in India. Ninteyone-year-old Dhonden is world-famous for giving cancer medicine. People from across the globe visit his clinic in McLeodganj. He attend to about 40 patients a day. Sometimes people have to wait for over a month to get his appointment. Patients from Punjab and Haryana even wait overnight in front of the Ashoka hotel in Mcleodganj to get a token for consultation. Dhonden used to be the personal physician to Dalai Lama. He is the foremost expert on Sowa Rigpa, a Tibetan herbal medicine that combines ancient healing systems of India and China. He is also a former director of the Tibetan Astro and Medical Institute. Dhondhen has treated thousands of patients. “He does not looks for X-rays or any other lab reports. He just checks the pulse and urine of the patient to examine the effect of the disease in the body,” said Tenzin, one of his colleagues. He makes medicine from “secret” herbs. Patients claim that it slows down the growth of cancer cells. According to Ashwani Bamba, president of the hoteliers’’ association of upper Dharamsala, a large number of people come to McLeodganj only to consult Dhonden. “People come here in routine to meet him. If three flights are coming to Dharamsala, then half of these are booked with his patients or people who want to seek an appointment,” he added. Deepak Deewan, who owns a travel agency in McLeodganj, said people start making a queue at 3 am to get the token. Lobsang Wangyal, a Tibetan activist and director of the Miss Tibet pageant, said Dhonden perhaps arrived in India the same year as the Dalai Lama. “It is a matter of pride for the whole Tibetan community that he has been honoured with the fourth highest civilian award in India,” he added.